Official Arsenal Football ID Dog Tag and Gift Box. 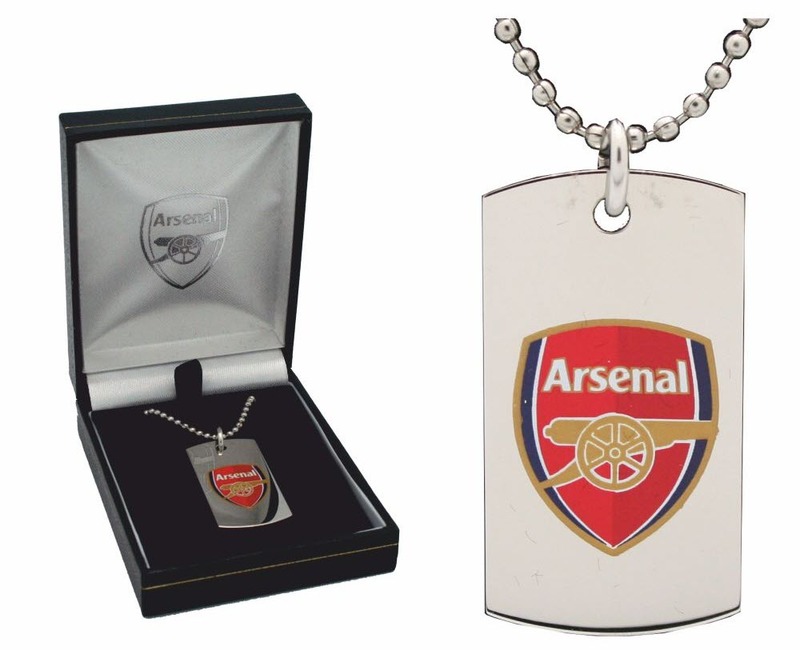 Full colour Arsenal badge on a Stainless Steel Dog Tag and comes in a lined gift box with the club badge inside the lid. These great necklaces measure 30 x 20mm and have a 55cm ball chain. Personalised with your message which will be engraved on the reverse of the dog tag.